Haven’t filed your taxes for numerous years? Since 2015, advocates with Tax AID DABC have been providing free support to people receiving Persons with Disabilities (PWD) and Persons with Persistent Multiple Barriers to Employment (PPMB) benefits to file their taxes. This work has helped hundreds of people on disability benefits from around the province to access additional income and benefits. The benefits of income tax filing are not insubstantial and even people living on low or modest incomes generally receive $400-$500 each year they file their taxes from benefits like the GST Credit, BC Sales Tax Credit, and BC Climate Action Tax Credit. In total, the Tax AID program has helped recover more than $1.5 million over the three year lifetime of the program. In 2018, DABC’s Tax AID program has expanded to three other organizations across BC. The Together Against Poverty Society (TAPS) provides services through the Tax AID TAPS on Vancouver Island; the Ki-Low-Na Friendship Society provides services through Tax AID Ki-Low-Na in the Interior; and the Active Support Against Poverty Society (ASAP) will provide services in the North through Tax AID ASAP. Disability Alliance BC continues to provide services as Tax AID DABC in Metro Vancouver and the Fraser Valley. In addition to providing direct income tax filing services, Tax AID advocates are also available to hold workshops and community information sessions about income tax filing in communities around BC. Thanks to these new partnerships, Tax AID will have a significantly greater provincial reach and will be able to provide a more effective service in communities around BC. A particular focus of our program continues to be helping people receiving disability benefits to get caught up on multiple years of unfiled income taxes. For these people, the benefits of the Tax AID program are often greatest as they generally qualify to receive money for each year they have not filed. As many of our clients live on incomes between $750 and $1,500 per month, receiving a few thousand dollars in back taxes can have a significant impact on their overall financial wellness. The expanded Tax AID program was announced by the Hon. Shane Simpson, Minister of Social Development and Poverty Reduction at a press conference hosted at the DABC office in May 2018. 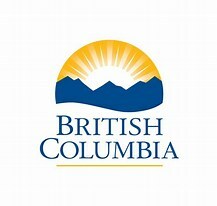 For questions about the Tax AID program please email taxaid@disabilityalliancebc.org. Our sincere thanks to the Ministry of Social Development and Poverty Reduction for funding this program expansion. And thank you to the Vancouver Foundation for the initial funding for Tax AID DABC.